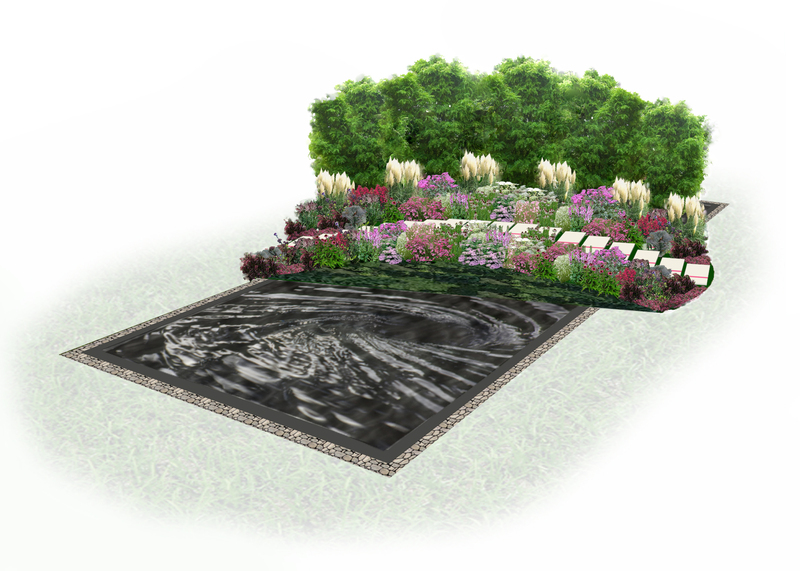 Hampton Court Flower Show, part 1_ What inspired me most? The garden that more then all has touched my heart… was ‘Summer in the Garden’, created by Arun Landscape (http://arunlandscapes.co.uk/) and part of the new category ‘Low Cost, High Impact’ gardens. Why I love this garden sooo much? Because it is exactly how I imagine a perfect small garden! 2) Even if from this picture you can not appreciate it at its best, it has got STRUCTURE (Hurray!!!!! )…that means that it will look beautiful, cosy, friendly and welcoming all seasons! 3) Most of plants are commonly used in Mediterranean gardens, so I found easy to picture it in Sardinia! 5) I LOVE framed Sempervivum used as a living picture on the wall! 6) The yellow walls could be too bright for the sunniest parts of Sardinia, but there at Hampton Court, under the rain and surrounded by mud, they were like a sunny oasis that made you immediately feel on holiday despite the bad weather! Early post on Hampton Court Flower Show! This year, in the list of award winners of the Hampton Court Flower Show, three already-know faces/names appear! ... and last but not least, Matthew Childs, Gold medal and Best Conceptual Garden with his 'Light at the end of the tube'! Matthew is one of our lecturer (and my rescuer during some past CAD lessons :D), and all of them were Garden Design students at KLC...... Will I follow their footsteps? Let's work hard and hope so!